for healthier and more energy efficient environments. 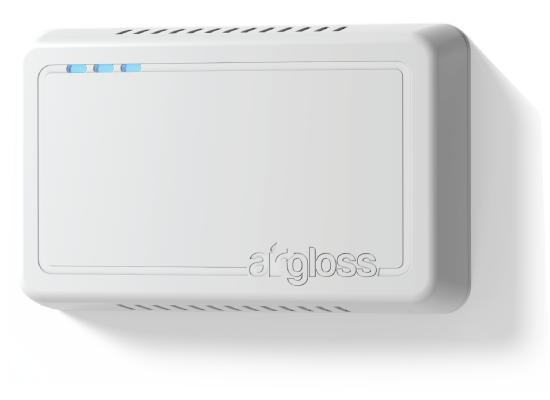 Airgloss ProSense detects a wide range of airborne contaminants, including VOC’s, Carbon Monoxide, CO2 and autonomously controls HVAC and air purification systems. A cutting edge solution for healthier indoor environments, improved energy saving, comfort and productivity. Overview and control your indoor environment from anywhere. 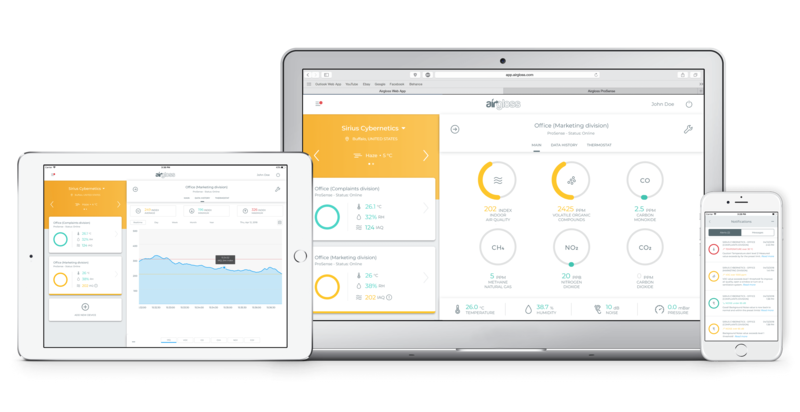 Manage all Airgloss devices from one platform and directly control HVAC and air purification systems. 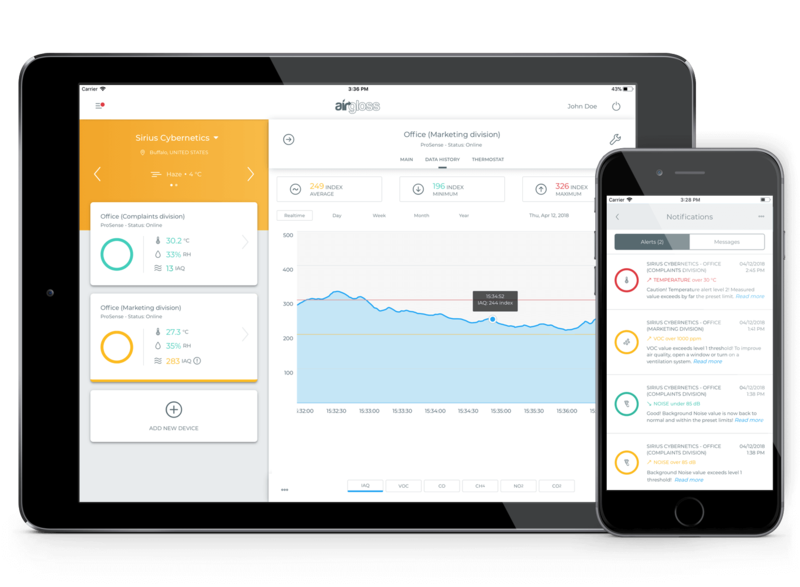 Access the app from your personal device for real time monitoring, review data history or choose to receive custom alerts in case of carbon monoxide build up, possible gas leaks or chemical contamination. Indoor spaces are constantly influenced by several factors, including air quality, temperature and humidity. Poor indoor environmental quality may have negative repercussions on health, comfort and productivity. 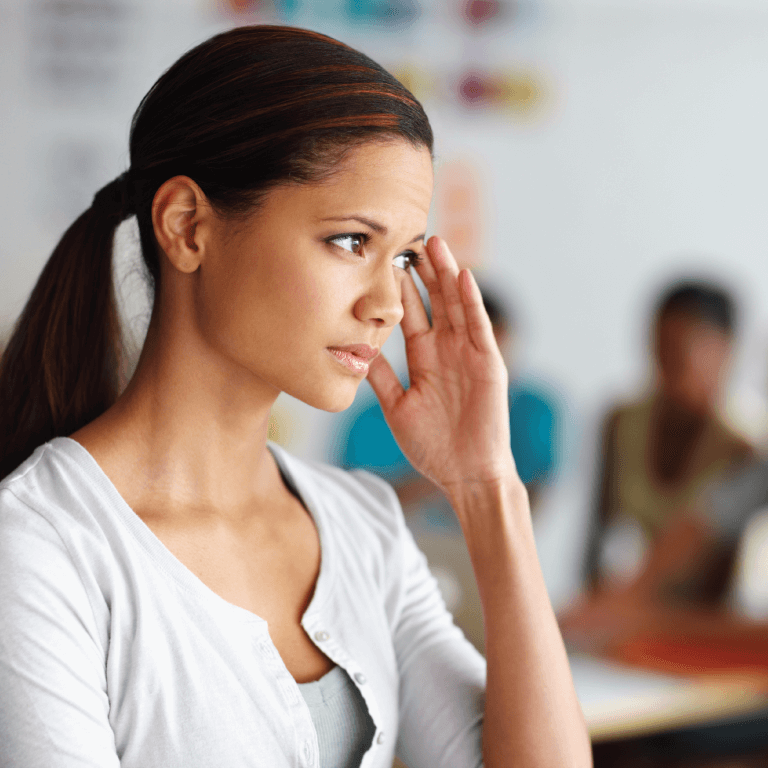 Headaches along with irritation to eyes, nose and throat are among the most common symptoms caused by these conditions. 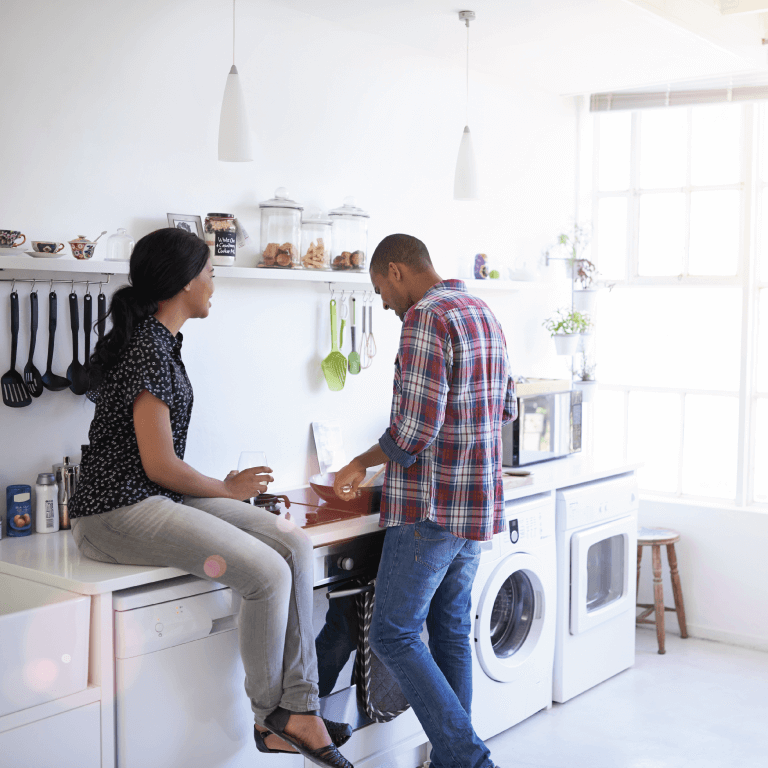 Since, most time is spent indoors between home, work and other indoor spaces, monitoring environmental parameters and acting to counter negative effects, are key elements for correct home and building management. Indoors, CO2 is mostly emitted by people. Excess build up due to overcrowded spaces or low air exchange may lead to headaches and impair cognitive performance. Children are among those who are more vulnerable to poor indoor air quality. Breathing more air than adults, in proportion to their weight, and having an immune system in a development stage, increases the negative effects on health and cognitive functions. 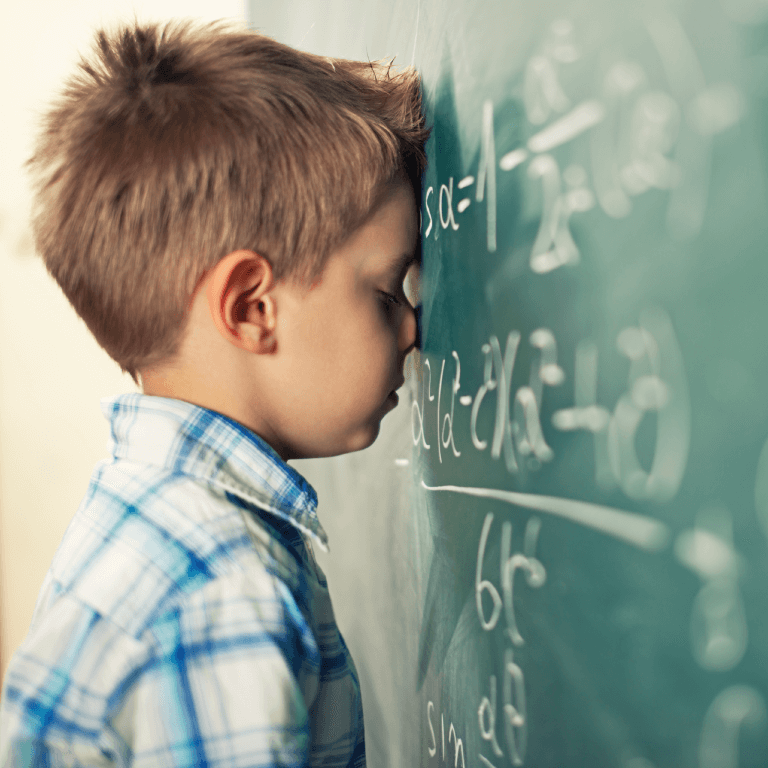 Air contaminants such as VOC’s and higher levels of CO2 affect learning and memory performance, cause discomfort, headaches and other health related issues. 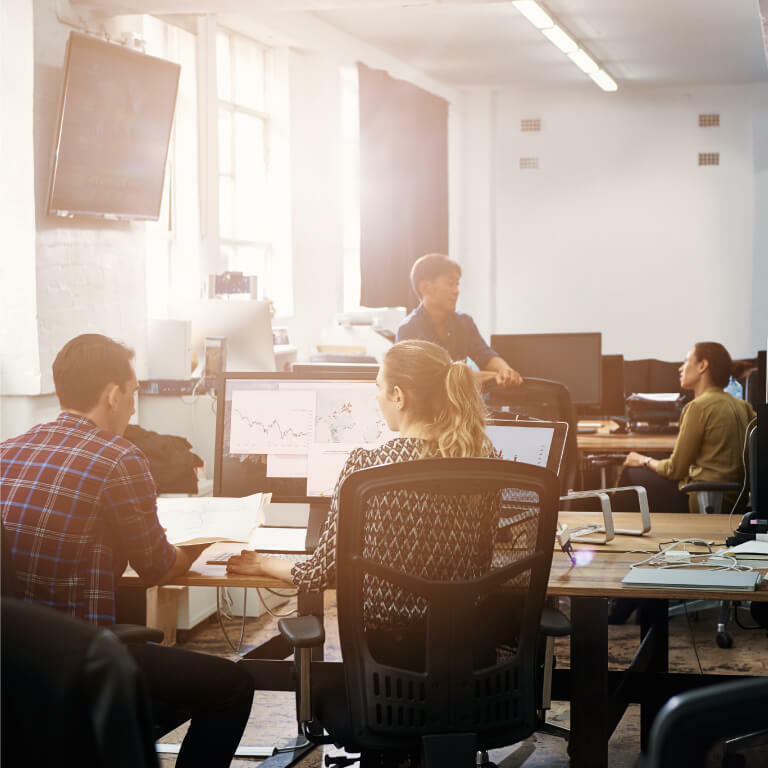 Improving IAQ by carefully monitoring air contaminants and efficiently managing ventilation or fresh air intake, has therefore both immediate and long-term benefits. 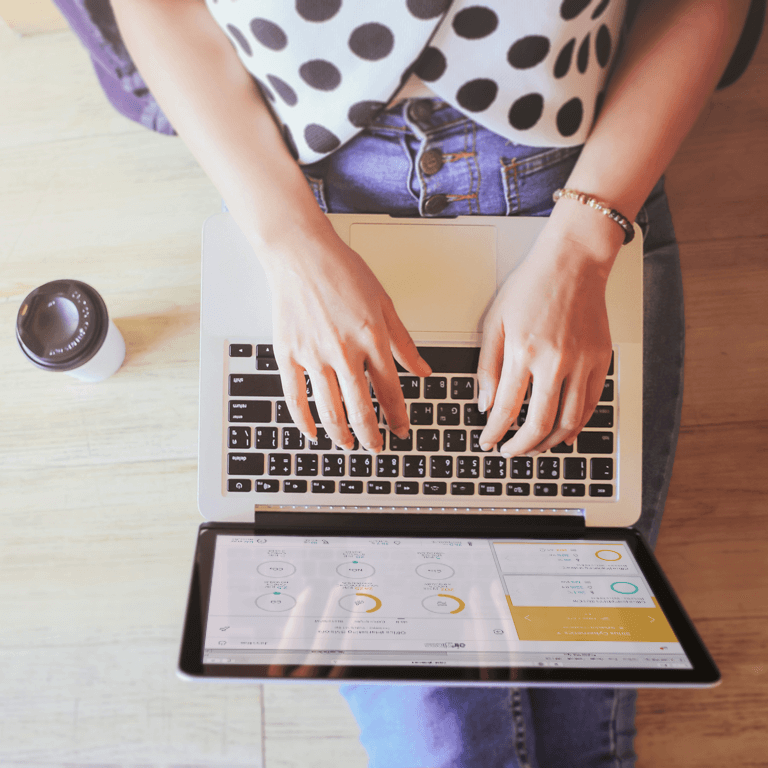 Access Airgloss data and controls to overview your indoor environment and easily manage temperature ventilation and air conditioning from anywhere, on all your devices. Accurately monitor the quality of your environment. View real time measurements and feedback and always know, at a glance, whether your environment is safe and when there is room for improvement. parameters are well within limits. to improve your indoor environment. Exposure could now be dangerous. Mold is primarily caused by moisture, excessive heating, and lack of ventilation, even though affected areas might not show visible signs. Paint, varnish, wall boards, ceiling tiles and pressed wood as well as other construction materials, may release harmful VOCs. Common household products e.g. cleaning fluids, disinfectants and aerosols also release potentially dangerous VOCs. Fireplaces, stoves, and furnaces are among the most common sources of potentially harmful and toxic air pollutants. 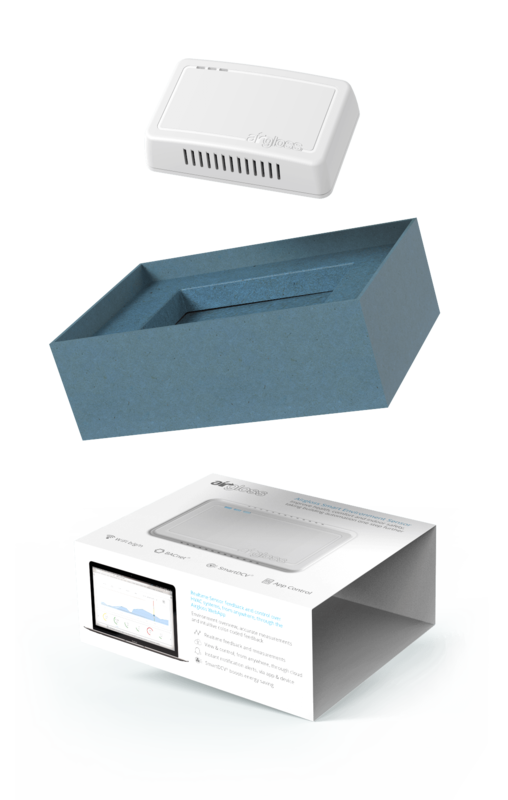 The ProSense features a cutting edge gas sensing technology developed entirely by Airgloss and specifically designed for indoor environmental monitoring. A new solution that allows a prompt detection and identification of a wide range of indoor airborne pollutants, and potentially dangerous chemicals, using artificial intelligence algorithms and pattern recognition. Effortless installation and maintenance free. 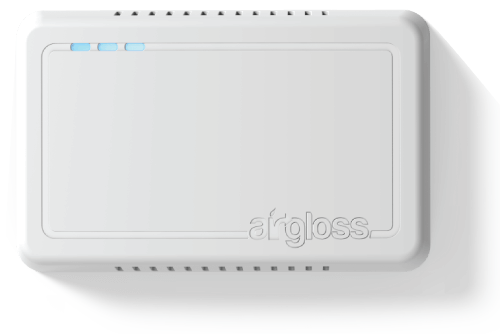 Airgloss ProSense is easily set up over Wi-Fi and integrates in existing heating, ventilation and air conditioning systems. It works both individually and in array to monitor a single room, a floor, or even the entire building.